It’s believed that coffee was first introduced to Honduras by European traders sometime in the late 18th century. Records show that by the mid-19th century, farms had been established and coffee was grown on a small scale. 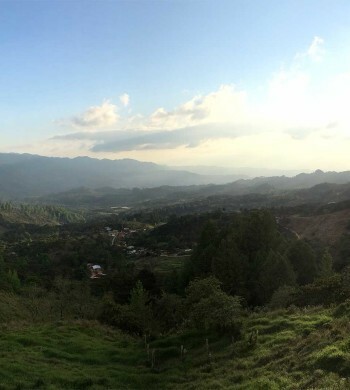 Honduras has many of the climatic and geographic conditions necessary to produce high quality coffee. However, because it lacked the infrastructure benefiting other coffee growing countries in the region, Honduras historically struggled to produce specialty coffee on par with its neighbors. For years, this meant the majority of the country’s coffee was relegated to commercial grade blending. Due to disorganized trade infrastructure and high export taxes, it was common practice to smuggle Honduran coffee into neighboring Guatemala and El Salvador, where it fetched higher prices. Eventually, the government started allocating more of this tax revenue back to the producers in the form of technical assistance, leading to improvements in both production and quality. As the value of Honduran coffee increased, producers found more profit in exporting coffee legally rather than smuggling it across the border. In recent years, Honduras has emerged as one of world’s the most important coffee origins. In 2011, Honduras surpassed Guatemala to become the largest coffee producer in Central America, and is now 7th largest in the world. The coffee world has taken notice of the excellent quality found in Honduras as well. Atlas works closely with our producer partners in Honduras, and we have seen amazing progress in just a few years’ time. We’re very proud of our long standing relationships with progressive mills like Beneficio San Vicente in Santa Barbara, and innovative cooperatives such as COCAFCAL in Las Capucas and COMSA in Marcala. Together we have seen the quality of the coffee and dedication of the farmers take a quantum leap forward, and now the best coffees from Honduras routinely win scores on par with top lots from Kenya and Ethiopia. Honduras offers a huge spectrum of flavor profiles. The cup characteristics can run the gamut from super sweet with chocolaty flavor and creamy body that work great in espresso, to tropical and citrus fruit flavors with vibrant acidity and medium body.